You can uncover your hidden emotions and regulate them. Except during a few calm interludes, your emotions subconsciously control your attitude and behavior. Aroused emotions trigger restlessness, excitation, and agitation, preparing you for action. Anger freezes your smile and induces a knot in your stomach, before you even realize that you are angry. The emotion controls both your muscles and your thoughts. Within milliseconds, it tenses you and justifies itself by instantly recalling connected memories. You will be flooded with memories of all the previous times your opponent annoyed you. Subtly, you will not recall all the nice things he did. You will have unknowingly surrendered to anger. Prevent yourself from being manipulated by your baser instincts! Understand the mechanisms and pitfalls triggered by your habitual emotions. Recognize their onset and firmly still them. Restore a common sense attitude to your life! It does take a little effort to learn how this can be done. But, your increased peace of mind and sense of control will surely be worth that effort! Entirely without your awareness, hidden emotions manipulate you in myriad ways. The human vocabulary lists thousands of words, which describe the invisible emotional shift in your viewpoints. Apart from changing your attitudes, emotions also modify your behavior, often making you want to virtually self destruct. Beneath your awareness, a hierarchy of reptilian, mammalian and human cortical level intelligences operate in parallel, competitively seeking to set your current strategy in life. 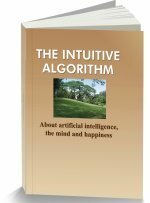 An intuitive process hands conscious control to a single emotion, inhibiting other competing emotions and your awareness of their viewpoints. Habitual “speed dial” circuits make you the victim of particular families of emotions. Meditation and self awareness can make you aware of your habitual problem zones. The first step in effective mind control is to come to terms with the major issues, which cause you distress through a practical self improvement plan. There is little public perception of how we are invisibly made to feel miserable through a range of hidden emotions. Self discovery is all about identifying and killing off negative emotions, including boredom and existential despair. Where negative emotions have been stilled, positive emotions tend to trickle in. Many small things around you will bring you joy. Your simple daily routines will give you satisfaction. Nature has also endowed you with a range of noble emotions, which invisibly uplift your viewpoints. Cultivate joy and compassion and be the best that you are born to be! Hidden Emotions -Myriad Ways Of Manipulating You! Your emotions continually shift your judgments away from a common sense view. Subconsciously they affect your attitude. When you feel anxious about a dentist's appointment, you receive no warning, “You are being manipulated by an emotion!” Anxiety appears to be normal for that moment, while the common sense “It's no big deal,” view vanishes. So many fear related words describe the myriad ways in which your attitude is manipulated - anxious, alarm, scare, worry, concern, misgiving, qualm, disquiet, uneasy, wary, nervous, edgy, jittery, apprehensive, trepidation, fright, dread, anguish, panic, terror, horror, consternation, distress, unnerved, distraught, threatened, defensive! Other than fear, your attitudes also change with numerous other emotions, including sadness, disgust, contempt, curiosity, surprise, love, pleasure, embarrassment, guilt, and shame. Just embarrassment alone makes you want to “sink under the table!” In all these cases, remember, you are controlled by a hidden drive within you! These are not your true viewpoints. They are attitudes thrust on you by the more primitive brains inhabiting your nervous system. Over millions of years, evolution assembled a triune brain within your nervous system. At the lowest level, a reptilian brain sets your basic approach or avoidance attitude, leading to trust or suspicion of the people you meet. At the next level, a mammalian brain controls the system through emotions. At the same time, a highly developed human level brain in the prefrontal cortex makes a rational interpretation of your world. These systems work all the time beneath your consciousness and offer your mind competing judgments and priorities for action. A single priority takes control without your conscious approval. As opposing emotions switch controls between systems, you suffer a roller coaster ride between euphoria and despair and pray for a little peace of mind. It is in this milieu that you need to put your common sense prefrontal brain in charge. Emotions manipulate your memories. 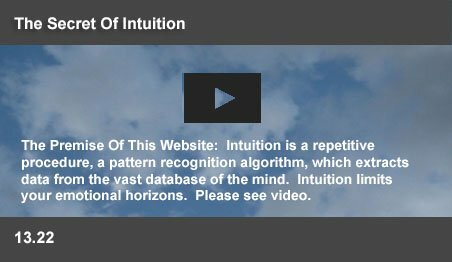 An intuitive process within your nervous system operates by eliminating alternative possibilities. An animal cannot afford to remain frozen between decisions, either to drink water, or to eat grass. If a decision to drink is taken, its hunger demands are instantly inhibited. So also, fear inhibits its option to stay back and fight. The animal's intuition recalls memories of escape routes, while suppressing memories of previous successes. Its mind provides memories in context to enable it to cope with its immediate tasks. But, in today's world, such emotional control creates problems for humans. As an example, the system diverts your focus on your project with the boredom emotion. The emotion makes you feel restless and impatient. Hidden emotions forcibly redirect your mind without your awareness. You can calmly manage life with real success, only when your common sense takes charge. To put your common sense in charge, discover your trigger points. For each person, a few streams of emotional thoughts become habitual. While innumerable emotions have been recorded in history, each person is punished by only a few of them. Individual childhood experiences and painful incidents create specific "speed dial circuits” within the nervous system. Those circuits repeatedly cycle the average person through repetitive and painful patterns of thought. Since they operate beneath your conscious awareness, you have to make an effort to discover them. This requires you to spend some quiet time, listening to your thoughts. The ancients called this “meditation.” You will not have to search long for those troubling thoughts, triggered by your hidden emotions. There is a systematic method, which can uncover these thoughts and take you to a common sense view of your world. Follow the self improvement plan offered in this website, which can substantially reduce your major concerns. These may include career, family and health issues. Many choices may require decisions between related and conflicting issues. You may not be able to find easy solutions to these problems. The prospect of constantly facing such issues may fill your with dread, or resentment. This self improvement plan can discover and still many of the conflicting emotions, which may be the cause of much of your distress. A few hours spent evaluating this plan can put you in a more calm frame of mind and enable you to effectively still the harassment caused by your hidden emotions. Many of the hidden emotions appear so natural that even major thinkers and philosophers have agonized over the resulting issues. Buddha agonized over the sufferings of humanity. Many Western thinkers complained of the meaninglessness of life. Others have written of being overwhelmed by boredom. Still others are filled with despair over the fate of humanity. A large part of the left establishment feels angry about the injustices in life. Joy is also a hidden emotion. When you have acted to remove negative emotions from their ability to control you, you have the opportunity to look around and view the world, without being overwhelmed by disagreeable feelings. After all, you can hardly enjoy the beauty of a flower, when you feel awful. The neural system within you will trigger pleasure for the small things you enjoyed when you were a child. These are built in circuits within you, which recognize specific patterns and trigger pleasure. Different things awe different people. You can be thrilled, or be unmoved by the idea that a thousand years ago, a great emperor sat on a throne you see in a museum. One person enjoys history, while another thrills to music, literature, or art. Seek out the things, which bring you joy in life. Each time you experience it, a small twinge of pleasure will fire in your brain. It may even fail to come back, if you look again. The feeling cannot be forced. It should come naturally. But it is a concrete neural event and the feeling can make your day. Recognize those subconscious impulses and hoard them. The joy of life is built on those simple foundations. While those emotions operate below the level of awareness, love and compassion can completely modify your behavior. The Buddhists added value to their lives by cultivating such emotions. They practiced the experience of compassion for nature by imagining the feelings of a bird, or an animal. Great actors invoke a range of emotions on stage. If you glare at a person, your words will sound hostile. Try it. You can learn to cultivate positive emotions.